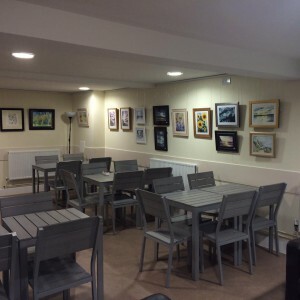 A great start to the year with my paintings in 3 locations at the same time. I have been painting frantically to get them all done. There is a joint exhibition at Witley Tea Rooms with 10 of my paintings. Thanks Dave S for the opportunity and helping to hang the pictures. Exhibitors besides me are Shelley Waring and Susan Shaw. I also have 4 paintings at the prestigious National Trust property Hanbury Hall with the Droitwich Arts Network members. 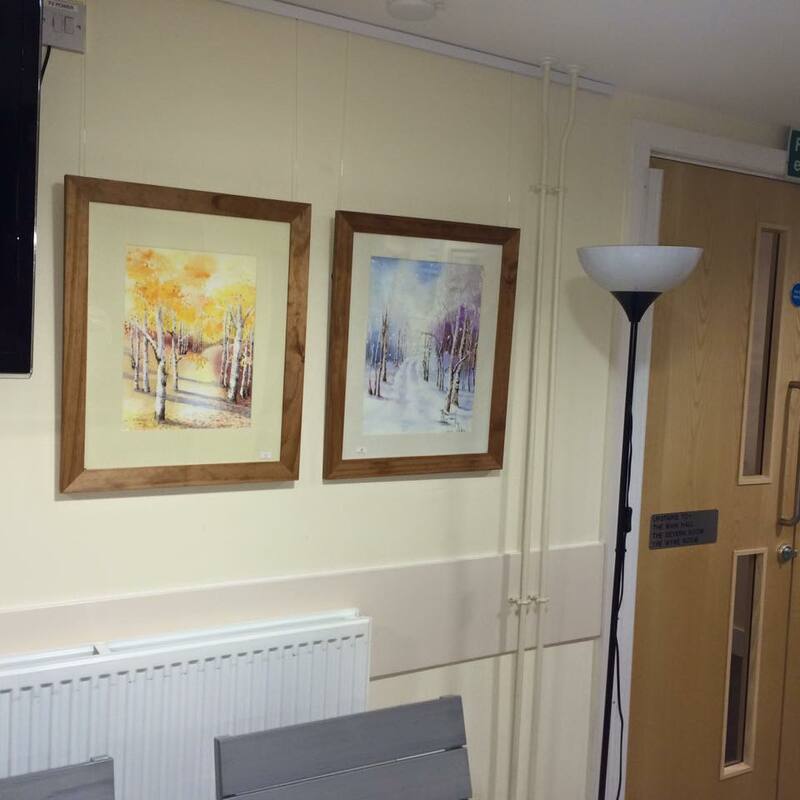 In addition I have several pictures at a dental surgery in Kidderminster with members of Kidderminster Art Society. This entry was posted in Uncategorised on 8th April 2019 by Karen Harmon. 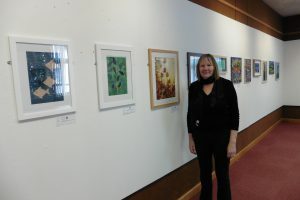 A new exhibition opened at Droitwich Library yesterday organised by The Droitwich Arts Network. With 12 artists exhibiting, there is a wide range of styles, media and themes. 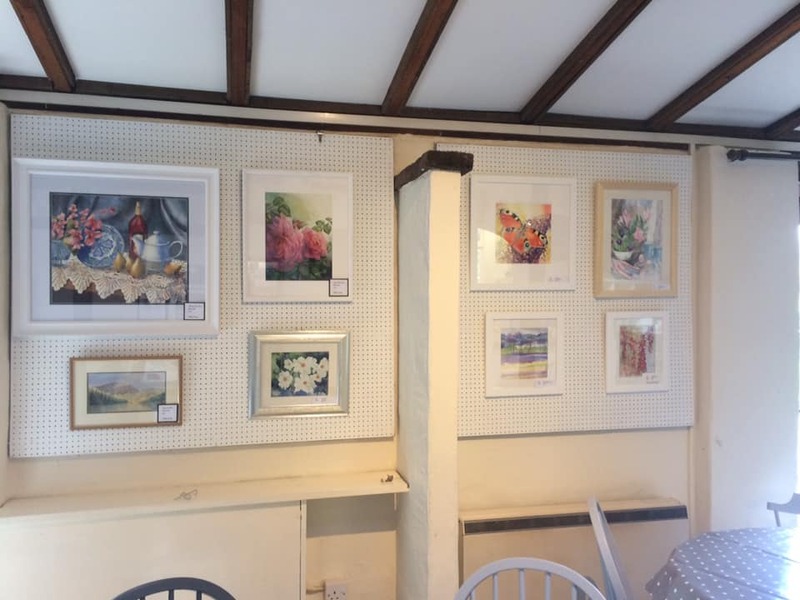 All the paintings are for sale so if you are local why not go and take a look. 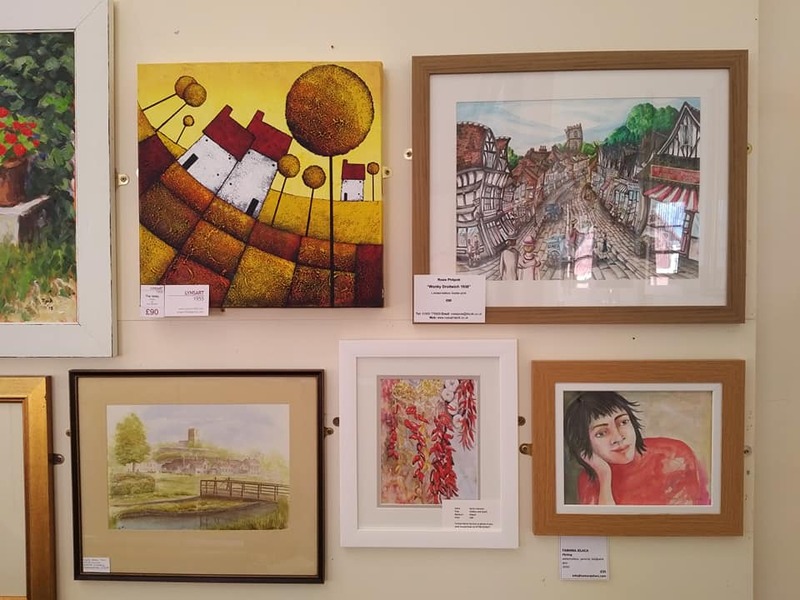 I have two paintings in the exhibition, one of a snowy Victoria Square in Droitwich and the other of Chillies and Garlic inspired by a holiday last summer. 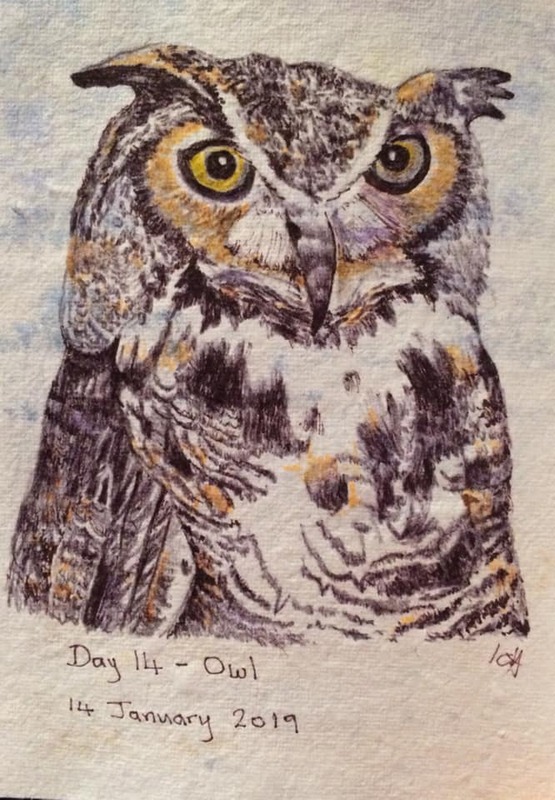 This entry was posted in Uncategorised on 3rd February 2019 by Karen Harmon. Here is a little taster . 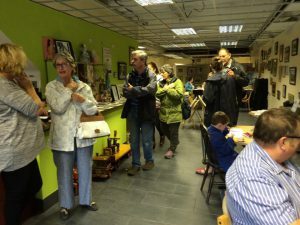 . . . .
As we start 2019, let’s take a quick look back at 2018.
it was another busy year with art classes, music and literary events. I got involved doing textiles, inspired by a lovely lady who creates the most delicious wall hangings, decorations and clothing. 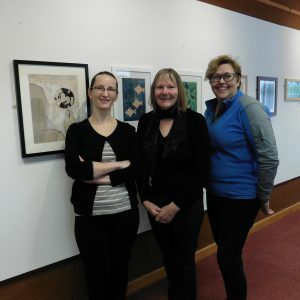 In April I arranged an exhibition for textile artists at our local library. The work submitted was outstanding and varied from lacework to knitted and sewn items to beautiful pictures in silk and hand-dyed threads. 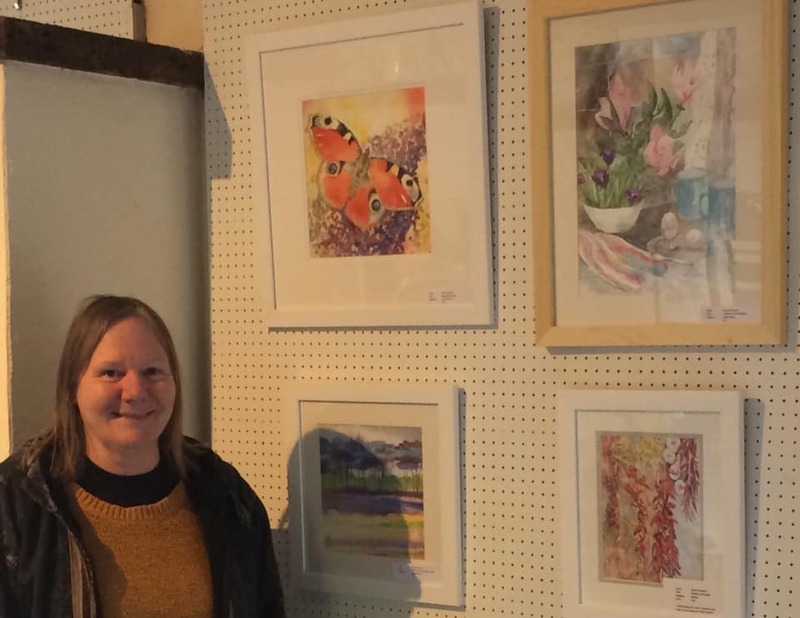 I did a short course with a local workshop that covered dying, printing and collage and had great fun designing a variety of hand-dyed and printed items and pictures. 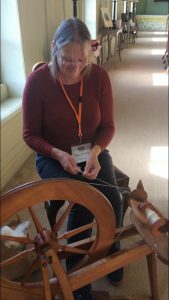 Later in the year I was treated to a hands-on demo evening with the Worcestershire Guild of Spinners, Weavers and Dyers. I bought a spinning wheel a couple of years ago, so with renewed enthusiasm and the gift of some alpaca fibre from a local animal sanctuary, I set about learning to spin. Within 3 days of starting I was asked to demo at the national Trust property Hanbury Hall. Although no expert by any stretch of the imagination I decided to give it a go. I really enjoyed the experience and even encouraged a few visitors to have a go. I have recently taken delivery of an Ashford rigid heddle loom so am now in the process of weaving some of my hand-spun yarn. Exciting times! During the summer I took part in Arts Fest, now in it’s second year. 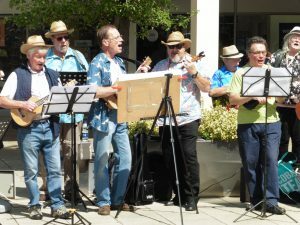 This involved a joint exhibition with local artists, painting in public in the town square and supporting musical events. 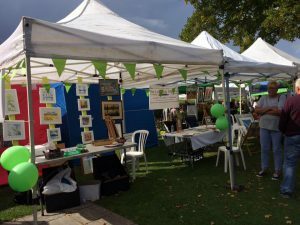 In September me and a friend hired a stand at the Droitwich Salt Fest to showcase the work done by our young students who are currently working towards an ‘Arts Award’. 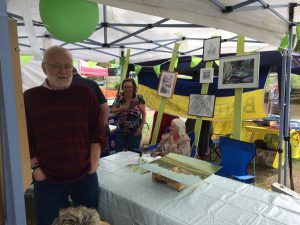 On day 2 of the event, me and group of invited fellow artists sat under the canvas and painted, demonstrated, talked and generally had a lot of fun interacting with the townspeople. 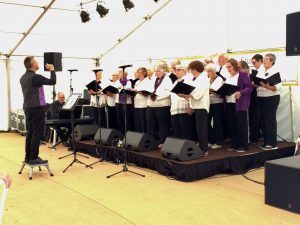 We also facilitated the musical extravaganza in the Grand Marquee for the entire event, which amounted to something like 20 hours of non-stop live music with over 300 musicians, singers and bands with everything from community choirs to folk, rock and brass. 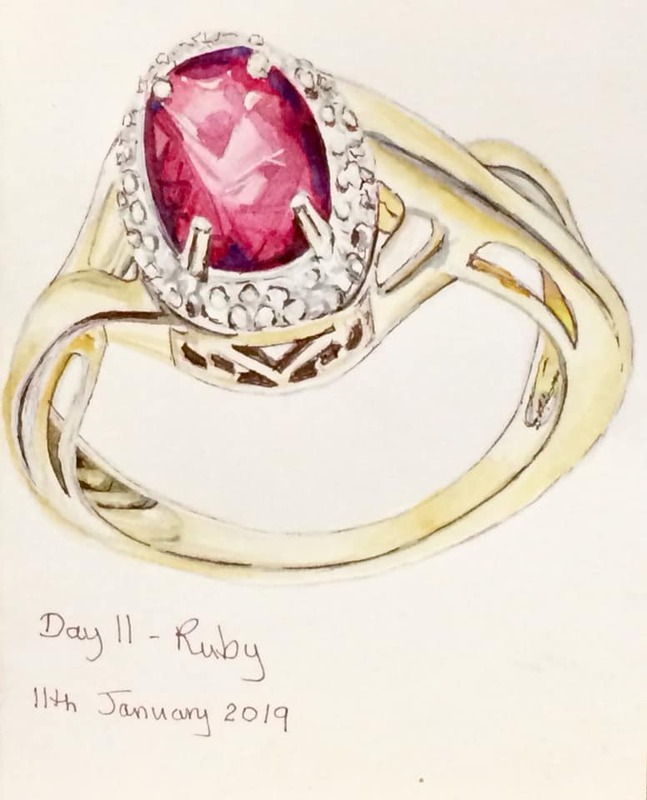 This entry was posted in Uncategorised on 9th January 2019 by Karen Harmon. Another busy year with Karen’s Studio going from strength to strength. All art classes were full and we delivered a variety of exhibitions and events during the year. 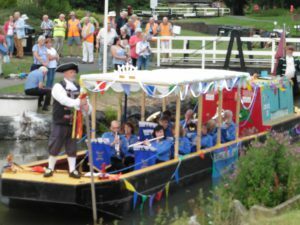 Alongside Canalside Studios, and the Droitwich Arts Network, we also supported the first Droitwich Artsfest; getting involved in community art, photography, music, creative writing and poetry and dance. 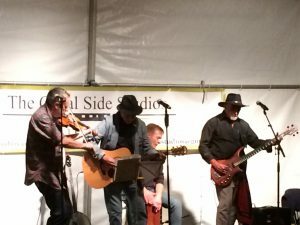 In September Droitwich held it’s annual Salt Fest celebration and Canalside Studios helped facilitate the musical programme organised by local musicians and supporters. 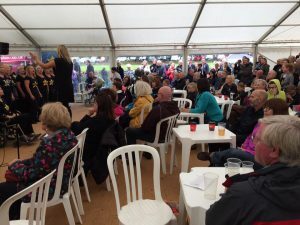 The main venue for the event was Vines Park and many local businesses, clubs and organisations and artists attended. 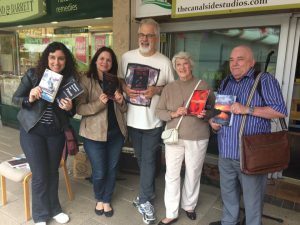 We rounded off the year by enlisting the help of local artists to put together an ‘advent calendar’ of artwork throughout the High Street during December. 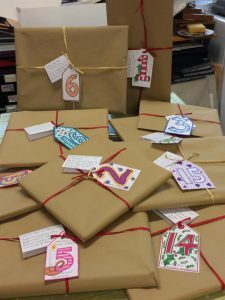 Artwork was parceled up and one tag for each day of the month was fastened to them and delivered to the shops in the High Street. On the corresponding day of the month, each shop opened their package and the artwork put on display in the shop windows. This entry was posted in Uncategorised on 18th July 2018 by Karen Harmon. 2016 was a crazy, fun-filled year with loads of exhibitions and events. 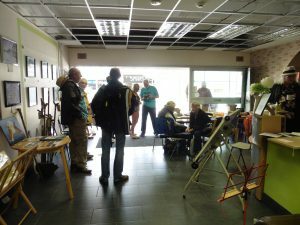 Me and my friend justine, took on the former Meetbox in Droitwich and turned it into a pop-up gallery. 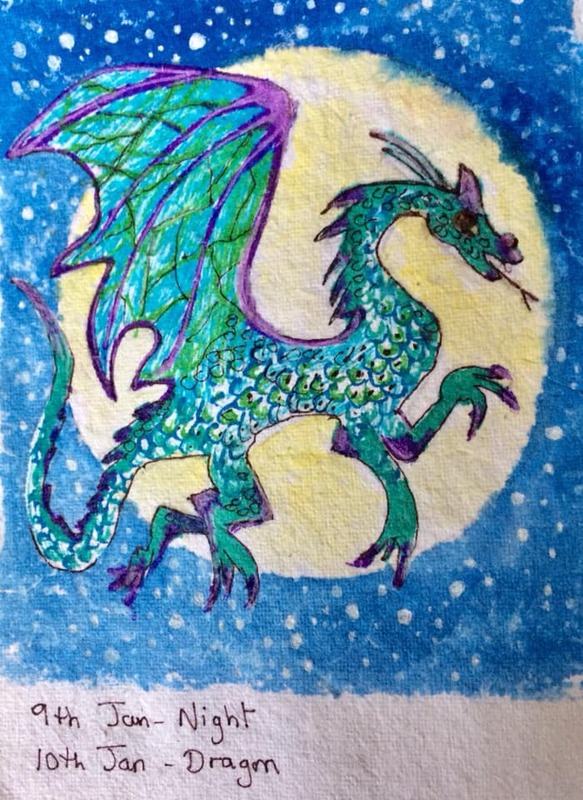 We encourage local artists to exhibit with us, no matter what level of proficiency they are at. 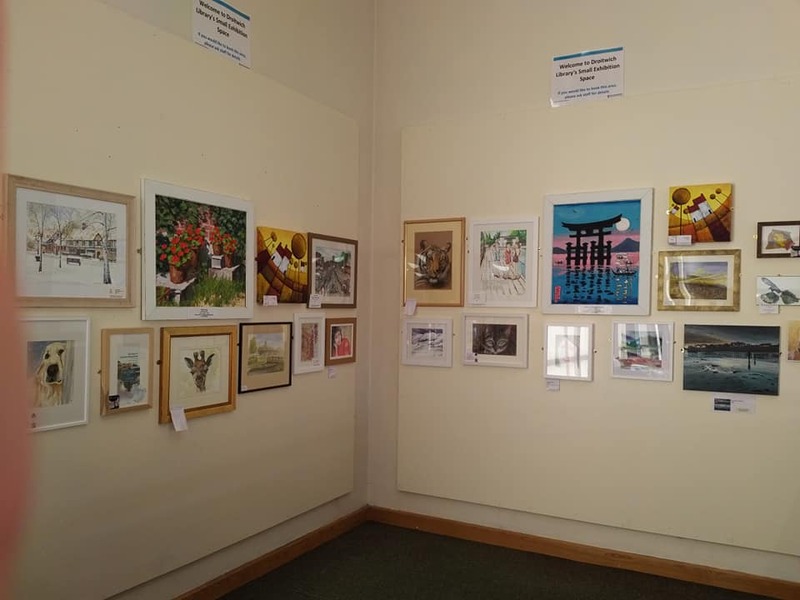 We’ve hosted a photographic exhibition, got involved in creating a mural with local schoolchildren, delivered classes for vulnerable adults, watercolour classes, needle-felting workshops, knit and natter sessions and much more. An attack of the gremlins (and hackers) in mid year put me back a bit and I haven’t posted anything since. But I need to remedy this so will be posting up regularly to let you know what I’m doing. 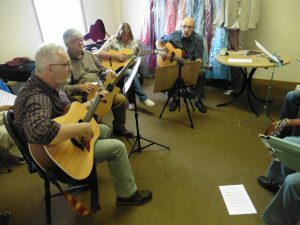 The Meetbox, now renamed The Canalside Studios, is still going strong with regular workshops and classes. 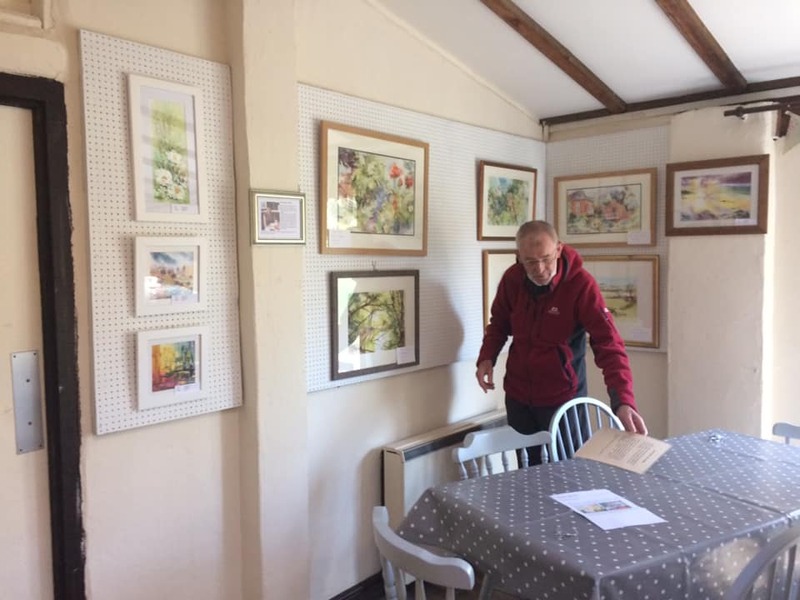 We also have our art studio at Stoke Prior, where we hold lessons for home educated children, craft days, drop-in painting mornings and watercolour lessons. To find out more drop us an email. This entry was posted in Uncategorised on 4th January 2017 by MarkHo. What a crazy month February turned into! 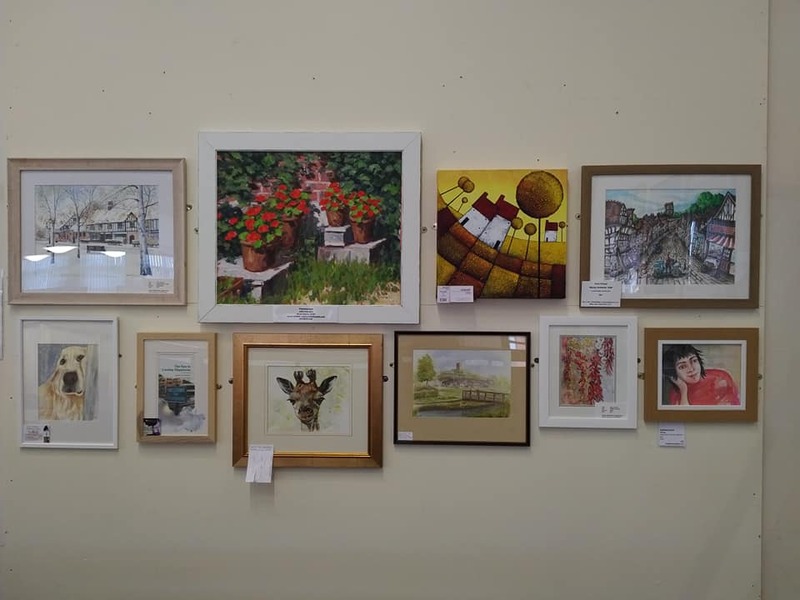 Apart from the exhibition at St George’s Hall, I have been elected to look after publicity, web pages, facebook page and exhibitions for Kidderminster Art Society. 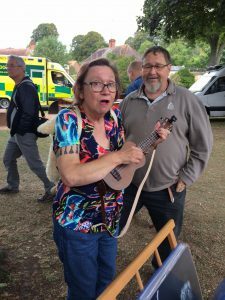 In addition I will be helping Droitwich Arts Network (DAN) with its arrangements for St Richard’s Festival at the end of April/MayDay Bank holiday, and getting involved with the Arts Week at the end of May. Not to mention the Bunting Project (more later) and Hanbury Hall Autumn Exhibition. The painting classes at Canalside Studios on Tuesdays are growing steadily and I may need to start a class on another day soon. This entry was posted in Exhibition, Watercolour Class on 22nd February 2016 by MarkHo. After a very successful month exhibiting at Park’s Cafe, Droitwich, my next exhbition will be at St George’s Hall in Bewdley. 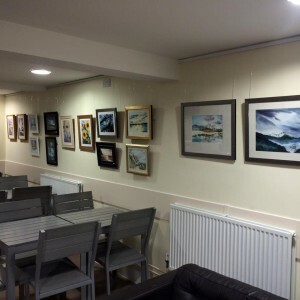 The exhibition opens on Monday 11th January 2016 and will run for the month. This entry was posted in Exhibition and tagged Exhibition on 7th January 2016 by MarkHo. Here are a couple of photos of my students and their work. The watercolour class is going great. In fact the Tuesday morning class is now full so I am starting a new class on Tuesday afternoons from 1.30 pm to 4.30 pm. This entry was posted in Uncategorized on 31st July 2015 by MarkHo.